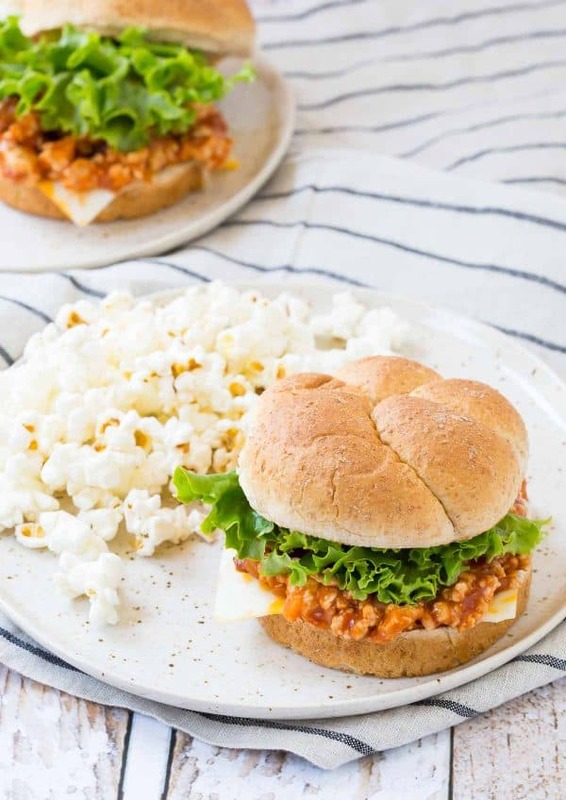 These easy sloppy joes come together using only FIVE ingredients, including the bun and a slice of cheese! 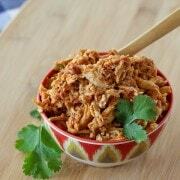 This will become a go-to quick weeknight meal. 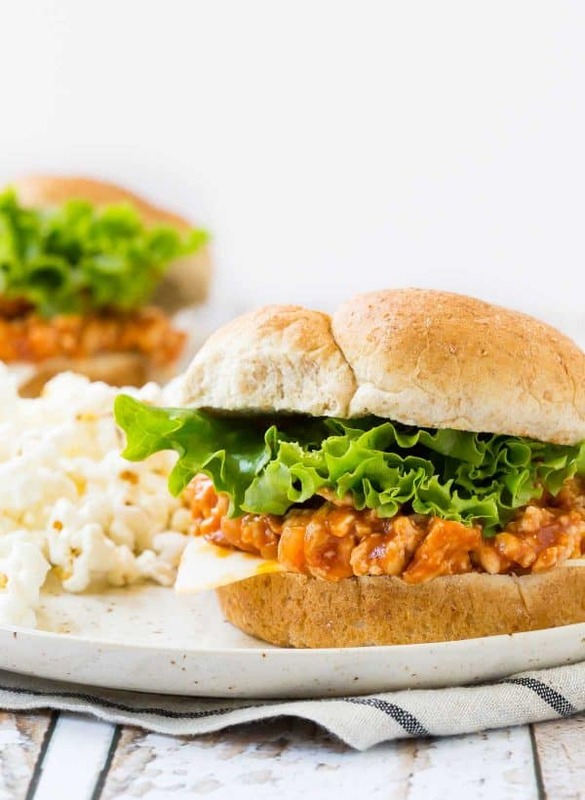 When I was flipping through my friend Phi’s amazing new book, these sloppy joes stood out to me right away. Quick, easy, and a complete crowd pleaser. Plus I had a package of ground turkey in the fridge so the choice was pretty obvious. But let me back it up a little. Who is Phi? What book? I kinda jump in there, sorry. Phi is the brilliant mind behind the blog Sweetphi and is a former contributor of Rachel Cooks. She works a full time job and also does a stellar job of running her blog. Oh and writing a cookbook. No big deal (I’M IN AWE). If you want a glimpse of how she gets it all done, check out her day in the life feature on Rachel Cooks. Granted, that was two years ago but Phi hasn’t slowed down with the awesomeness. Her expertise and the subject of the cookbook? 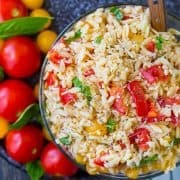 Five ingredient recipes. AKA all my dreams coming true. 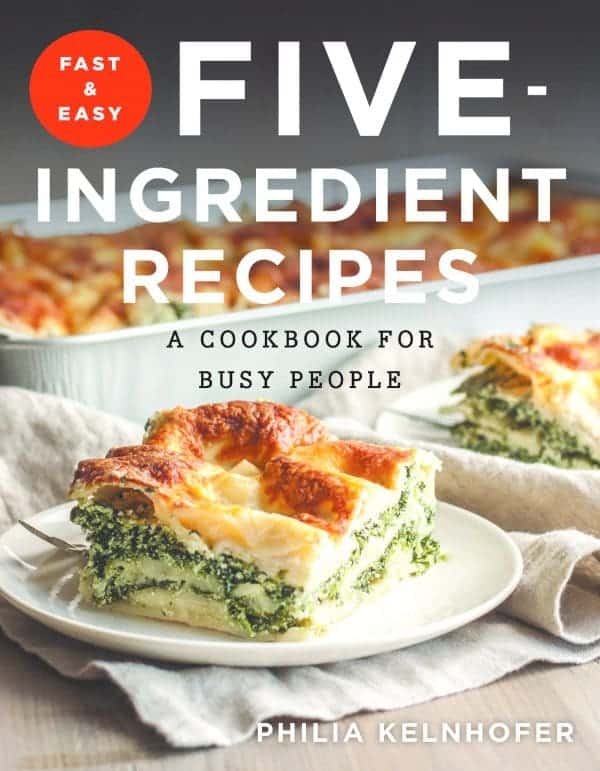 Enter her cookbook – Fast and Easy Five Ingredient Recipes: A Cookbook for Busy People. Busy people = ALL OF US. And many more! Everything is included ranging from every day staples such as homemade ketchup to fancier offerings like her orange chocolate almond torte. I can’t wait to try more recipes. 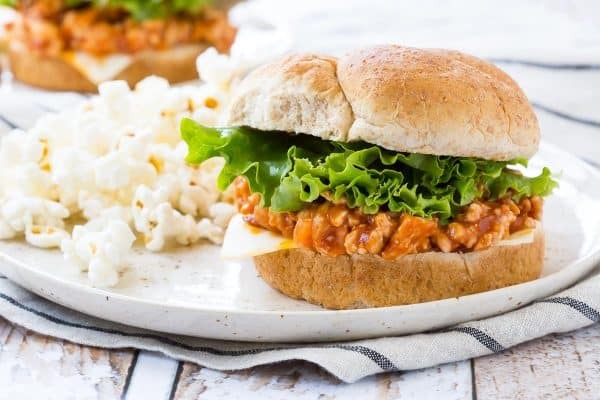 I started with these easy sloppy joes, partly because I had all the ingredients on hand. Also it was a day full of recipe testing and blog work, and I wanted one of the recipes to fill in as lunch for Ben and me. This was perfect! And would you believe that the five ingredients in this recipe INCLUDES the bun and a slice of cheese?!?! It’s all thanks to a can of condensed tomato soup. I’ll admit, I was a little skeptical that it would come through in the flavor department, but it really does make the perfect quick and easy sloppy joe sauce. It’s a great balance of tangy and sweet. Don’t forget to buy a copy of Fast and Easy Five Ingredient Recipes: A Cookbook for Busy People for the rest of the recipes! 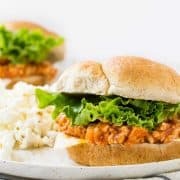 Easy Sloppy Joes - FIVE ingredients! 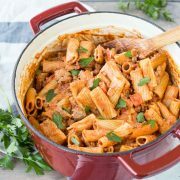 In a large skillet, cook the ground meat and red onion with the salt and pepper, breaking up the meat as it cooks over high heat. Cook until no more pink is visible on the beef, 15 to 20 minutes. It’s okay if there is a little bit of grease, but if you want, you can drain it at this point. Stir the condensed tomato soup into the beef mixture. Turn off the heat and stir so that the tomato soup is evenly distributed. Verdict: I loved how quickly these were on the table — less than 30 minutes! Husband’s take: No complaints from the peanut gallery about these – Ben loved them. Changes I would make: None are necessary but I think they’d be great with some diced green peppers sautéed in with the onions. 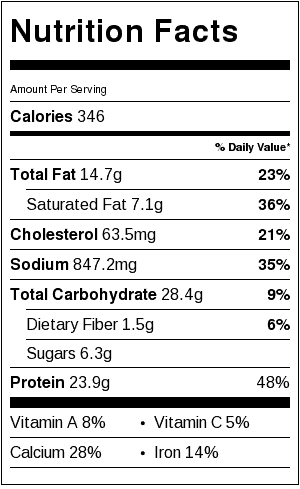 Actual nutrition may vary depending on how recipe is prepared. Calculated for recipe prepared with ground turkey breast. Oh my goodness! Thank you so much for sharing a recipe from my cookbook Rachel, and for your kind words!!! I’m so happy you made these, they’re seriously delicious (and one of my hubby’s faves!!) 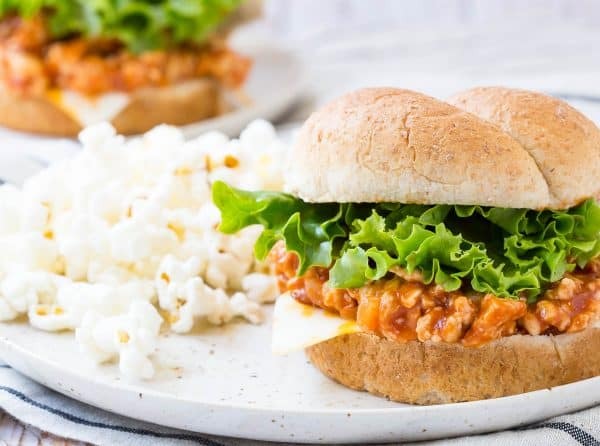 I definitely make them with ground turkey all the time too, so i love that you did that with these. And love that you served it with popcorn :) A million thank yous and so much love! !